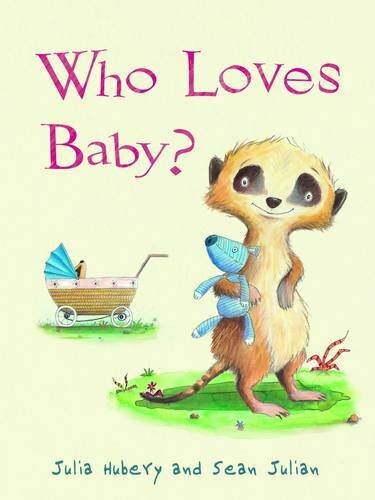 The ubiquitous image of a young meerkat on the cover pf this picture book sweeps us into a story about sibling rivalry. Along comes the Gooey Gang to coo over and cuddle the new baby, whilst big bro is ignored… and he definitely likes them as little as he likes the icky, pongy pooey baby! When the Gooey Gang also rob young meerkat of his bedtime story with Mum this seems the last straw. But issues are resolved when big bro talks through his problem with his teddy, and starts to build a relationship when alone with his new brother, discovering his warmth, softness…and incredibly strong grip. The illustrations portray character over and above the text, with Mother keeping a keen, knowing eye on developments, finally happily reading a story to both siblings.